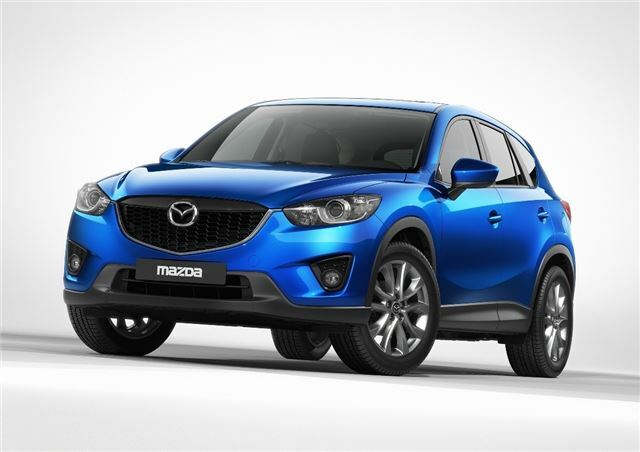 The new compact crossover from Mazda will make its debut in September at the Frankfurt Motor Show. The new CX-5 is built around Mazda’s SKYACTIV TECHNOLOGY, meaning low fuel consumption and lower emissions – Mazda is aiming at sub-120g/km. Engines available in Europe will be the SKYACTV-G petrol and SKYACTIV-D diesel, both in standard and high powered output specifications. Mazda aims to make the CX-5 fun to drive as well as clean, and thanks to a high 14:1 compression ratio the engines should manage reasonable power outputs. The SKYACTIV tech isn’t limited to the engine bay. The chassis and body will be lightweight and strong, with the aim of delivering agility and fun handling without compromising safety. It also showcases a new design theme, called ‘KODO – Soul of Motion’ which is intended to convey ‘vitality and agility.’ It’s bold, aggressive and angular, with a prominent front end, which is becoming a fashion in current car styling. Alongside the CX-5 at Frankfurt will be an overhauled Mazda3 with lower CO2 emissions and improved fuel economy. You can expect more information on both models nearer to their reveal on September 13th.